FalkeEins - the Luftwaffe blog: Schnellkampfgeschwader 210 May 1941 - Johannes Kaufmann " Meine Flugberichte "
Schnellkampfgeschwader 210 May 1941 - Johannes Kaufmann " Meine Flugberichte "
" ..on Saturday 10 May we arrived in Brussels after a long train journey and the following morning travelled on to Lille. From there we were bussed on to our new airfield at Merville driving through the bucolic countryside of northern France - of the war there was nothing to be seen.. Our group, freshly posted to SKG 210, comprised young Zerstörer crews just out of the 'destroyer' training school and included my radio operator Gefr. Schmidt and myself. Our Geschwader CO was Major Storp, Gruppenkommandeur Hptm. Stricker and our Staffelkapitän Oblt. Forgatsch. 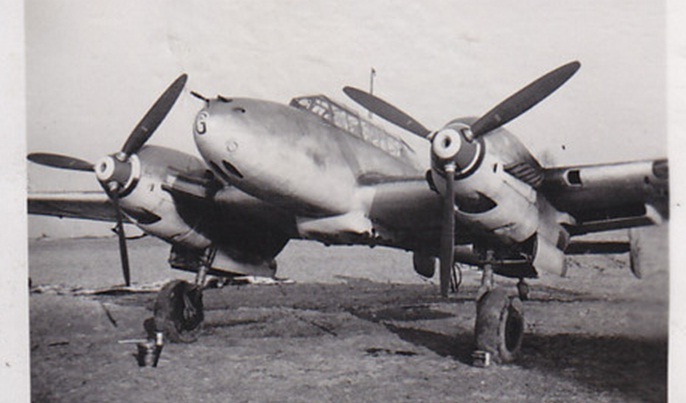 The principal mission of our Geschwader was all-weather precision bombing sorties by day and night with the Bf 110. The Me 210 - after which our unit was named- was not yet available. On Tuesday 13 May we flew our first orientation flights, followed by navigation and practise bombing training sorties - the latter were flown against shipwrecks off the Channel coast. These were the sort of sorties that we weren't taught at the Zerstörer training school at Schleissheim. 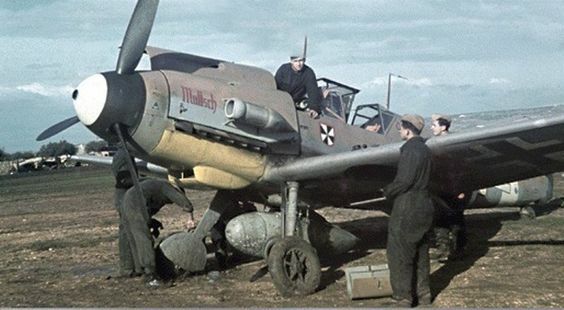 Another deficiency in our training programme that we were to make good as quickly as we could was night flying in the Bf 110. 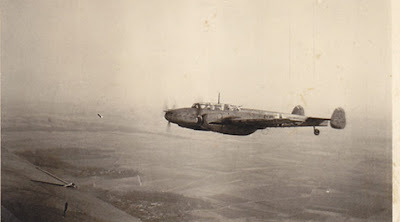 On 18 May 1941 we took off at 23:15 from Merville heading out over the Channel coast. We climbed to 3,000 metres and once through the cloud deck visibility in the light of the moon was good. We had to maintain strict radio silence and had no ground navigation aids. Course, height and speed had to be scrupulously maintained in order to find our way safely back home.. 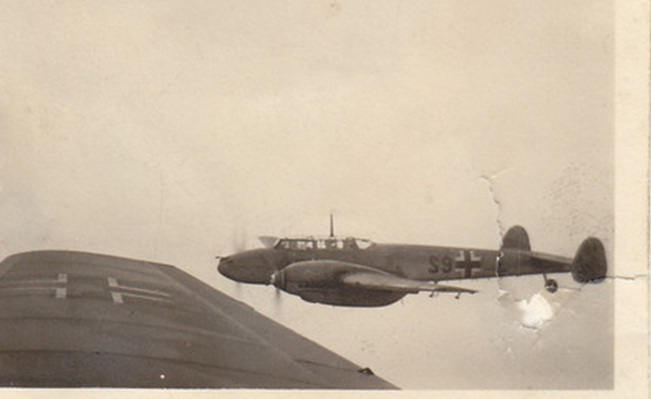 While we had to keep a keen watch out for English night fighters there were no untoward events on this flight. Shortly after crossing back over the coast we let down through the clouds and once in the vicinity of the airfield requested the very sparse airfield lighting be switched on, which was just of sufficient help to line up for an approach and touch down. This was our first night sortie 'at the front' and as such was of particular significance for us. Our daytime navigation flights took us to Le Bourget, Calais, Chateaudun and Paderborn. 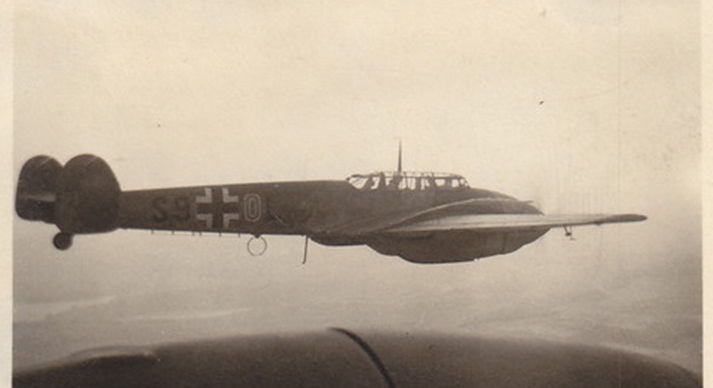 In the view of our Staffelkapitän we quickly reached a point where we could be declared 'einsatzreif' - ready for combat - and awaited our first 'Feindflug' ...some combat sorties were planned but always cancelled, sometimes at the last moment, without us ever knowing why. It was around this period though that the Fuehrer's Deputy, Rudolf Hess, flew to Great Britain in his Bf 110 and there was much rumour and speculation in our personal conversations. Those wishing for a speedy end to the war and peace kept their own counsel though.."